Please carefully read Tobii’s return policy summarized here and fully set out in our Terms of Sales. Please remember that you have agreed to this when you have purchased our product. If you would like to use your right to return, you - as our Customer - have the right to withdraw from the purchase within 30 days from the date your order was dispatched from Tobii. Please be aware, that we will accept returns that meet the specific return criteria listed below. We reserve the right to deny any return if it fails to meet these criteria! All returns and associated costs will be within the customer´s responsibility. Therefore, we strongly recommend you to follow our return policy/guidelines/recommendations. Tobii will not be held responsible for payment of any fees or import tax which will lead to the carrier returning the package back to the sender. We work hard to ensure that we send out a reliable and working device the first time! You might find a solution by checking our tutorials, troubleshooting guides or popular topics. A written statement for the reason of the return is required to process the return. Therefore you, as our Customer should contact Tobii by submitting a request (select: "30-day money back guarantee"). Customer is responsible for the cost of shipping the product back to Tobii. 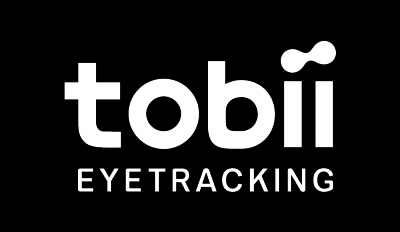 Please be aware that according to our Terms of Sales Tobii does not cover any shipping or tax costs for the purpose of returning your device! By completing the request form you should receive an auto-reply that we received your request. Within 24 hours a Return of Sales (ROS) number (6-digit) will be provided from Customer Service representative (if necessary), which must be prominently displayed on the outside of the package. It is your responsibility to make sure the unit is properly packed and secure before closing the box. Please note that not all original parts needs to be included in its original shape and box: metallic strips and stickers are negligible. The device, the USB cable is a must! To the carrier, please specify clearly that this is a return of a purchased product in order to avoid problems with customs (use the original Tracking number as a reference, or consult the carrier). This is especially important for returns from outside the European Union. We suggest to use UPS as a carrier, but feel free to choose according to your preference! Having tracking service to the package is also helpful for later reference. The order will be refunded within 14 days from when the return shipment arrived at Tobii.